This Salsa Verde Chicken is tangy, flavorful with just the right amount of kick. It can be served on a bed of rice with veggies or instantly transforms salads, burritos, quesadillas, tacos, etc. into drool worthy meals in minutes. 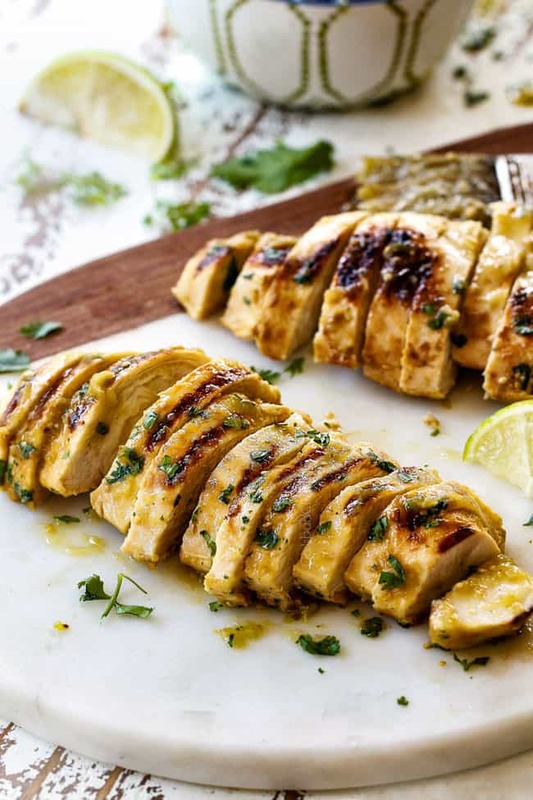 You will love having this juicy, tender Salsa Verde Chicken on hand for all those busy nights to amp up your dinner routine! 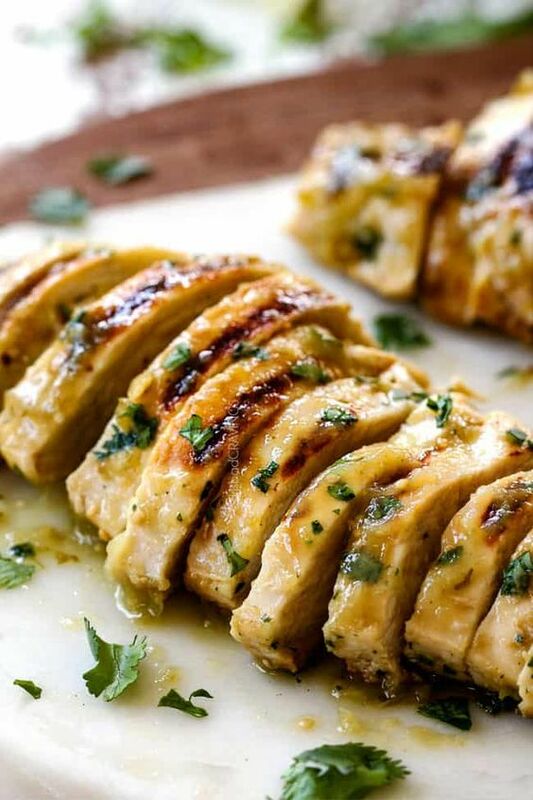 I’ve included stove top and grilling instructions for fabulous indoor chicken or grilling smoking deliciousness as well as tons of ideas of how to use this Salsa Verde Chicken to create a meal. Whisk together the salsa verde and 2 tablespoons olive oil in a freezer bag or shallow dish (whatever you are going to marinate your chicken in. Add chicken and toss evenly to coat. Marinate in the refrigerator 2 hours up to overnight (the longer the better). Let chicken sit at room temperature for 15-30 minutes (time permitting). Heat one tablespoon olive oil in a large skillet over medium high heat. Once very hot, add chicken and cook, undisturbed for 3-5 minutes, or until nicely browned (or blackened if you prefer) on one side. Turn chicken over, cover, and reduce heat to medium. Cook for approximately 3-5 more minutes (depending on thickness of chicken), or until chicken is cooked through. Remove chicken to a cutting board and let rest 5 minutes before slicing or chopping. Brush cooked chicken with desired amount of salsa verde glaze. Serve with rice/zoodles, in tacos, salads, enchiladas, burritos, burrito bowls, etc. Let chicken sit at room temperature for 15-30 minutes (time permitting). Meanwhile, grease and preheat the grill to medium heat, 375-450°F. 0 Response to "SALSA VERDE CHICKEN (3 INGREDIENTS!)"